If you haven’t tried Stand Up Paddleboarding (SUP) yet this is the event to get started. First timers can jump on the dryland simulator located at Mountain to Sound Outfitters to get a feel of the sport. 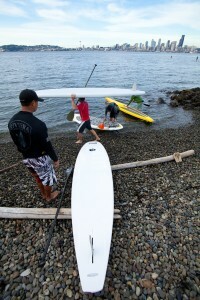 After the dry run, come down and join Alki Kayak Tours instructors for a basic introduction to the on water experience. SUP is one of the most straightforward ways to get on the water, but takes a lifetime to master. 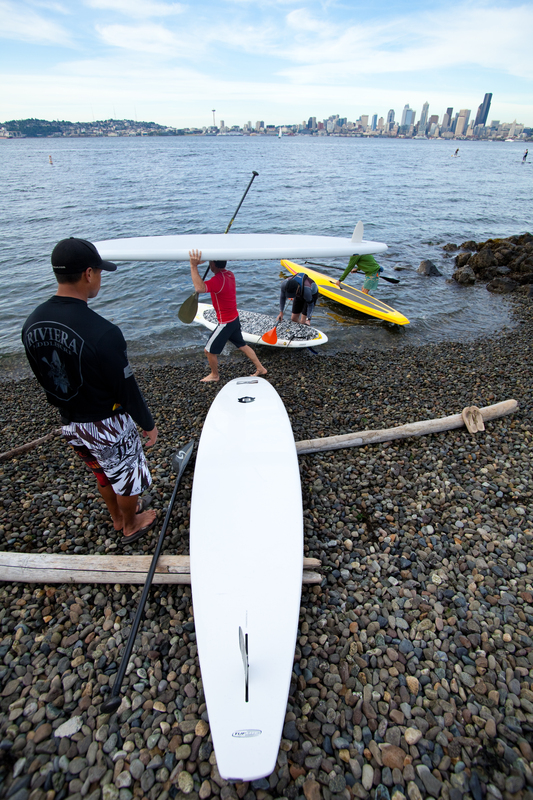 Instructors will introduce you to getting your board up to speed and doing basic maneuvers. Registration is required at the entrance, a release of liability form completed, and participants under 18 must be accompanied by a parent/guardian. Dress for the Northwest weather. Bring extra clothes to leave in your car. PFD-lifejacket. Everyone is required to wear one.